#FinCon19 speaker selection is well underway! We announced Round 1 last month, and we will have our Round 3 (and final!) announcement in May. Want to apply for a speaking spot at #FinCon19? Scroll down for more info to make your proposal! Blogger, podcaster, and author Tanja Hester will take the main stage and present a Big Idea at the opening keynote on Thursday morning, September 5, 2019. Hester was the first FIRE blogger to get a regular column on MarketWatch. She’s spoken at Google, FinCon, CampFI, at conferences around the world, and she has been featured in New York Times, Wall Street Journal, USA Today, Time, Money, CNBC, PBS, Vice, Yahoo! Finance, Forbes, Refinery29, Bustle, WGN and global media outlets. #FinCon19 Round 3 Speaker Proposals Now Open! There’s still time to throw your hat in the ring, you have one more opportunity from April 1-20. Click here to submit your speaker application. 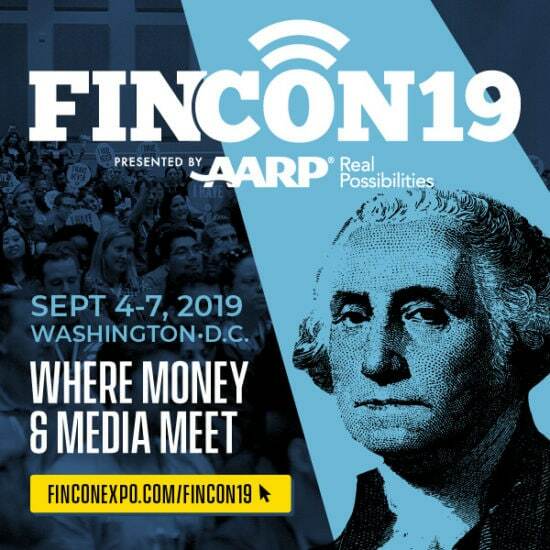 In September 2019, an energetic community of money media nerds will descend on Washington, D.C. These 2,000+ personal finance content creators and influencers will connect, collaborate, and learn from each other at the world’s largest financial conference and expo. To find out more or register, visit finconexpo.com/fincon19.